Mirova is delighted to announce that Axione Infrastructures , an investment made possible by its greenfield infrastructure fund FIDEPPP alongside Caisse des Dépôts, was awarded “European Telecom Deal of the Year” by IJ Global newspaper (an infrastructure journal and project finance magazine). The award was given at the IJ Europe and Africa Awards dinner which was held at the Natural History Museum in London on 19th February 2015. The prize was awarded in recognition of the refinancing of the existing debt facilities of Axione Infrastructures. This innovative financing represents a double first as it is the first time that a project bond has been used to finance a European telecom asset, and the first time that a project bond has been used in France. The refinancing also delivered a competitive and appropriate form of financing for the company. 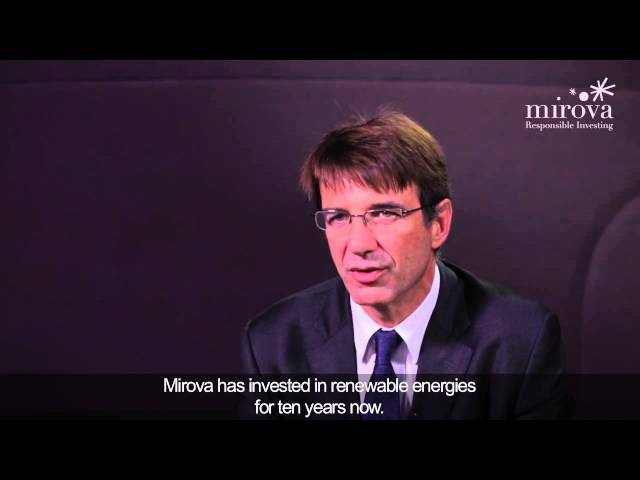 The refinancing was undertaken by Axione’s shareholders under the leadership of Mirova, which as majority shareholder of the company was instrumental in driving the strategy. The EIB's involvement also made the bond solution possible due to the provision of a 20% senior debt enhancement, which made the placement highly attractive to investors. This support accelerated the mobilisation of private capital and provided Axione Infrastructures with EUR 189.1m in bond financing, enabling it to continue with and extend the roll-out of fast and superfast digital infrastructure in numerous departments in France. Axione’s project bond was issued in July 2014 and was met with strong demand from institutional investors. It demonstrates the importance and the attractiveness of the bond market for financing infrastructure investments. Over 500 professionals from across the industry attended the ceremony, which recognizes excellence, achievement and innovation in energy and infrastructure finance. Infrastructure Journal and Project Finance Magazine awards are organized annually to celebrate the market-leading transactions in their sectors and the leading firms and institutions in the market during that year.